As I have folders, that I always need to see sorted by modification date, and other folders that I always need to see sorted by Name, it would be marvelous, if FC could remember the sorting setting per folder. Thanks a lot. That did the trick! 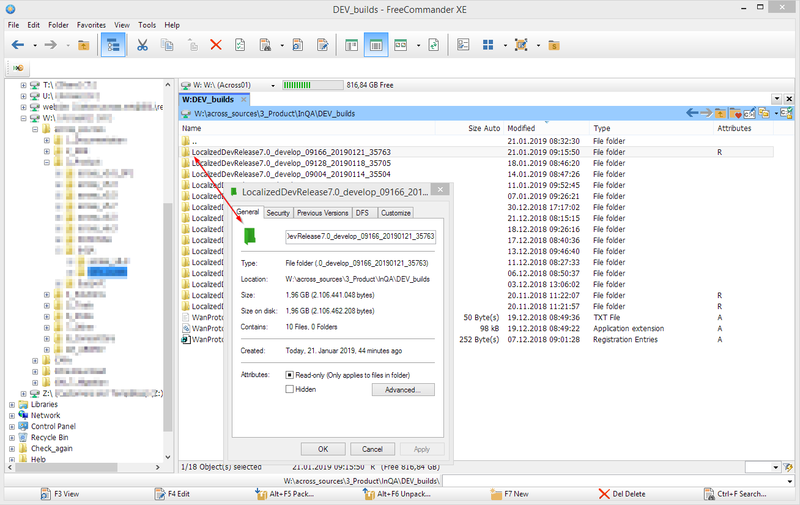 it would be great if FreeCommander could handle file-URLs (e.g. file://server.domain.xyz/folder/folder) and convert them to UNC (\\server.domain.xyz\folder\folder), just as Windows Explorer does. Currently, when trying to enter such an URL in path field or in "Go to folder", nothing happens.